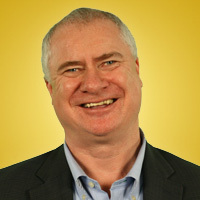 Les McKeown is the president and CEO of Predictable Success, a global consulting company. He advises CEOs and senior leaders on how to achieve scalable, sustainable growth and speaks to Fortune 500 companies about his breakthrough strategies. Prior to founding his own firm, McKeown established himself as a serial founder/owner, starting more than 40 companies, in addition to being the founding partner of an incubation consulting company. He is the author of Predictable Success, The Synergist, and Do Lead.